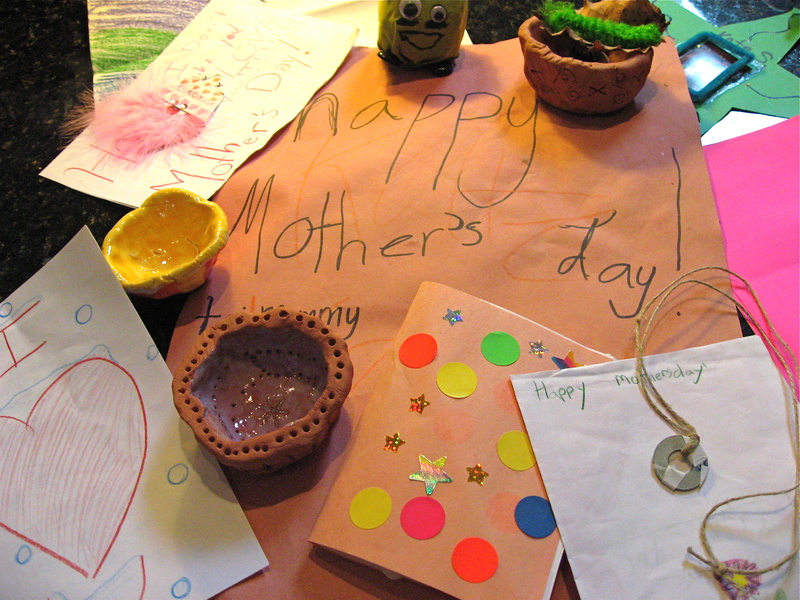 Because they’re now 11 and 13, my daughters don’t do Mother’s Day art projects in school anymore. Gone are the days when I could count on getting handmade clay sculptures or fingerpainted portraits that they’d slaved over in their classrooms. 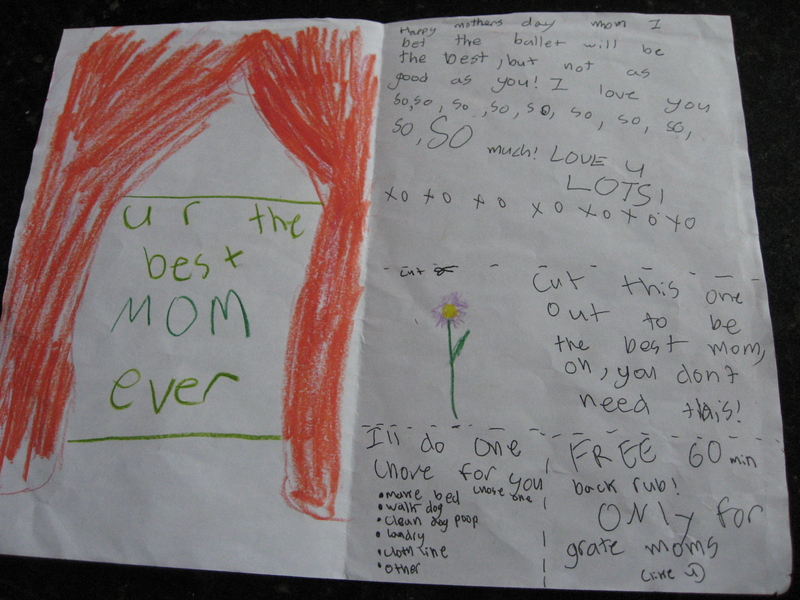 I still get homemade cards, but as soon as my girls have less free time and more disposable income, I suspect I’ll be getting the store-bought kind. Not to mention gifts that they’ve bought with their allowance or babysitting income. 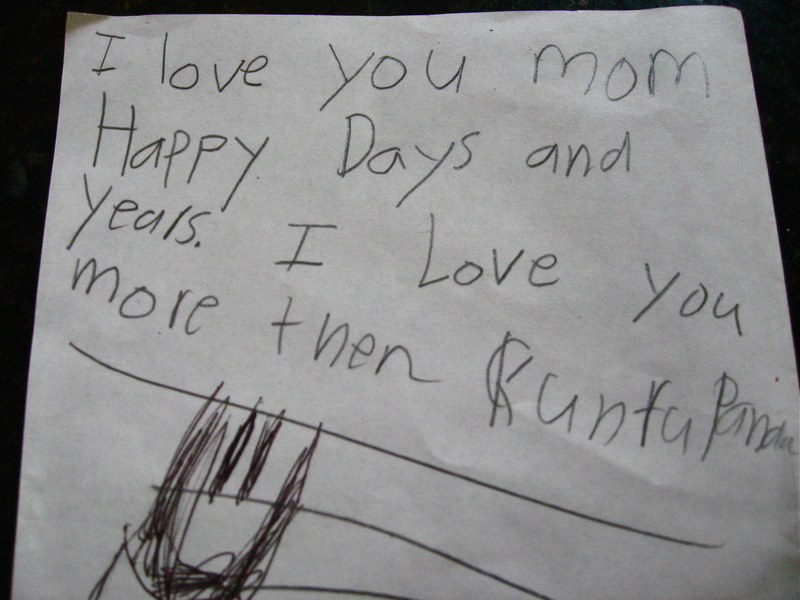 However, I’ve really enjoyed the homemade cards and gifts I’ve received for more than a decade of Mother’s Days. None of them cost a single penny, yet I wouldn’t trade a single one for a diamond tiara or an all-expense-paid trip to an island paradise. 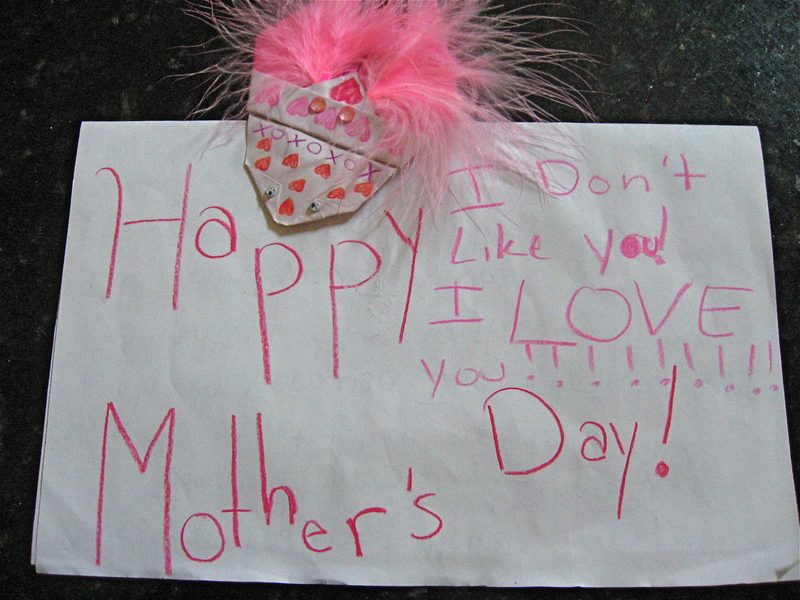 All you moms out there – I think you understand. is what I’d like instead. to me have much more flavor. I’ll keep for years untold. the one just made with love.